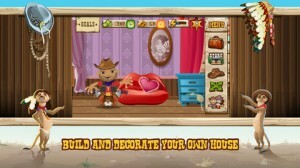 Western Story is an iPhone game developed by Play Today Limited. 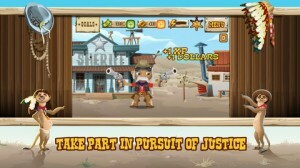 In this tap-based game, you can explore an Old West town, have a shoot-out, and go on a quest to retrieve your lost horse. After being accosted by thugs, you must choose your character (from a selection of genders and races), and head to a local saloon to confront the ruffians. 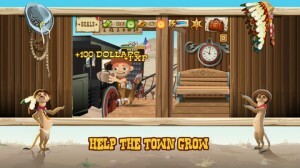 There, the saloon keeper will give you advice and help you on your quest to recover your lost horse. Later on, you can challenge criminals to a showdown at high noon. 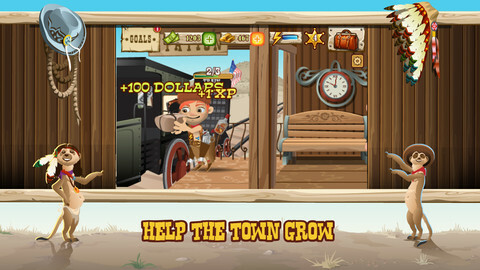 Your actions can help the town grow from a small settlement into a thriving frontier town. 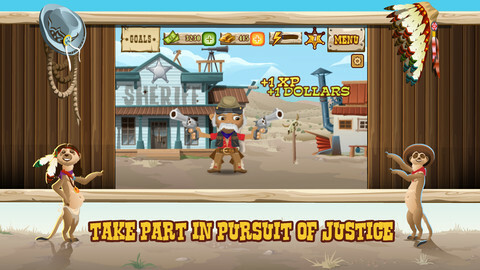 During the course of Western Story, you will be asked to help defend the town from bandits, build and decorate your own home, and work alongside the sheriff. Given that we are firmly in the age of social gaming, it should come as no surprise that Western Story lets you visit the Old West towns that your friends have built. You can also connect with Facebook to network with other players or just share your in-game progress with your friends. Your mileage may vary with the character designs. I personally would have liked to see some more customization options in terms of facial structures, which would make your character options seem more impressive. Some of the character options seem a bit stereotypical, as well. 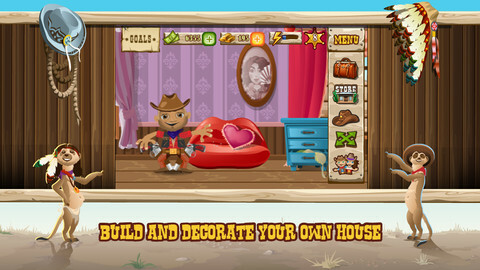 With over 80 decorations you can unlock for various buildings in the town, and 100+ activities to keep you entertained, Western Story offers a fun take on classic Western themes. There are also 15 different chases, which are tons of fun. Car chases are all the same: a chase on a horse is thrilling! 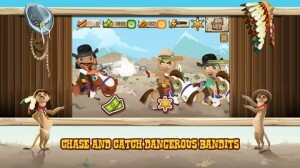 Western Storyis compatible with iPhone, iPod touch, and iPad. Requires iOS 5.1 or later. This app is optimized for iPhone 5.